Votes go in the comments, or however you like getting them to me. As always on this interactive online entertainment, purely anonymous votes are not counted. Specific votes that are explicitly based on extravexillogical factors are cheerfully tossed out as well. Israel: tough call... and while I often vote for the simplest option, I'll go for the flag that includes classic flag elements. A symbol AND some stripes. 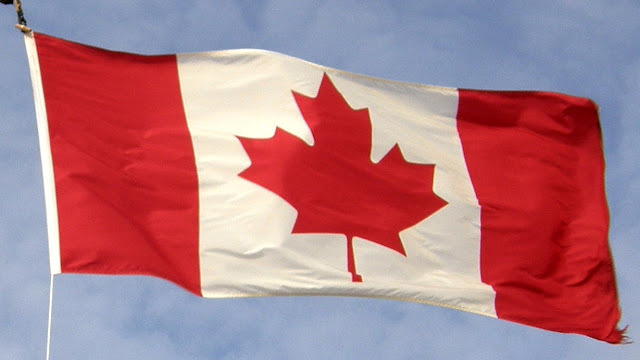 Canada: never thought I'd vote against the double eagle, but for the same reasons as above, I'll give Canada the edge for combining two flag elements, classic symbol with pales. The second matchup is a toss-up for me. Let's do a comparison! 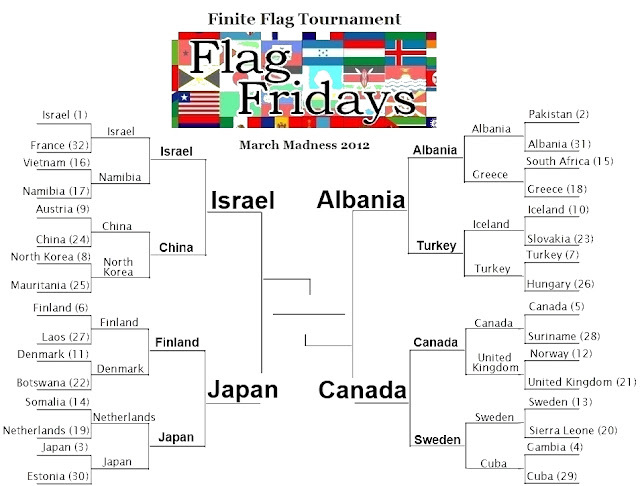 I'm going to vote ALBANIA by a hair, but I could see either of these flags beating out Japan or Israel in the Championship. Albania never should have made it this far, so Canada is a natural. That said, between Japan & Israel, things get tricky. 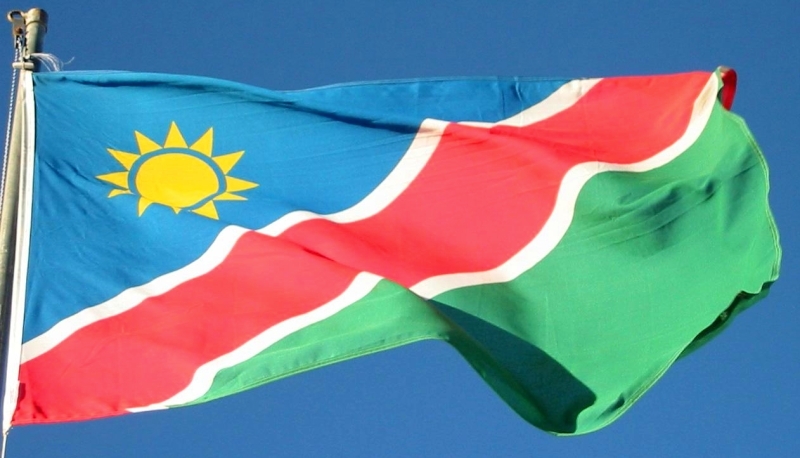 Those are two stellar flags, communicating so much with so little. 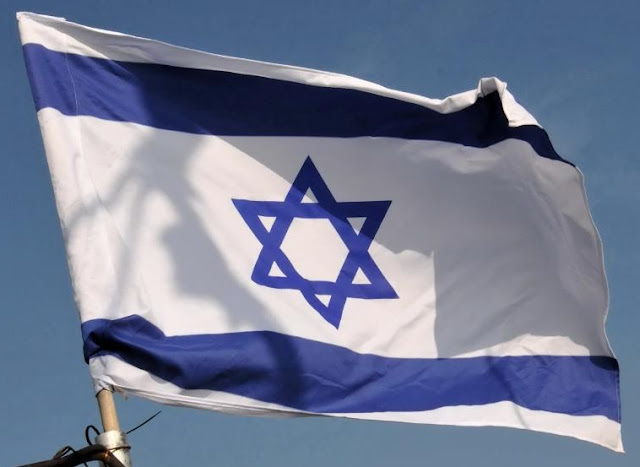 It's a tough call, but I think I'm going to give the point to Israel for putting a symbol on it's flag that is unequivocal in it's meaning. It's the Star of David, and cannot be mistaken for a beach ball, or target practice or anything else. And given the historical significance of the symbol... it's just a move of incredible pride & courage. Final round is going to be brutal. Isreal: I also think that Japan is too simple at this level of competition. Canada: Eventhough I voted against Canada twice, and like the Albanian flag, but the black/red is too intense without some mitigating color in-between. 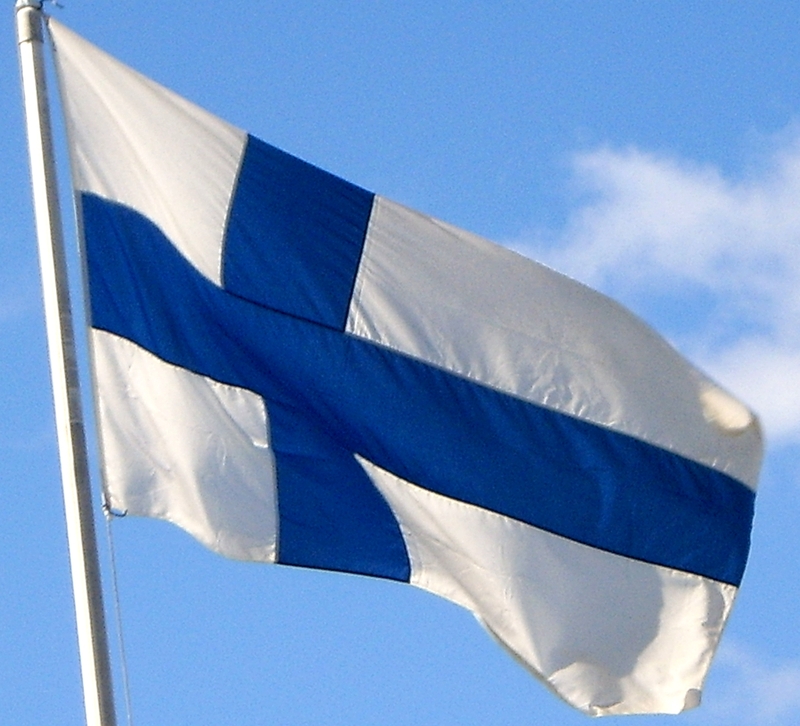 All three other flags use white as that mitigating factor. If The Albanians used some white like Israel, their kickass emblem would sing! Canada vs. Israel! I'll make the easy choice now, and the (somewhat) difficult choice later of finally having to choose one of them to win the whole enchilada. 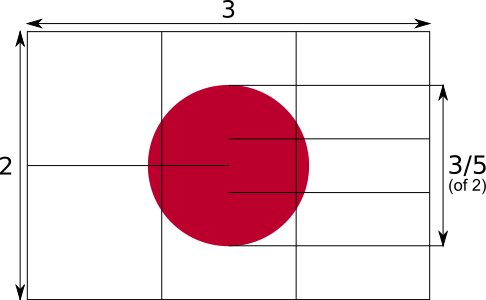 Japan pulls ahead by having a single, simple symbol meaning so much. It's a classic and an icon in itself. 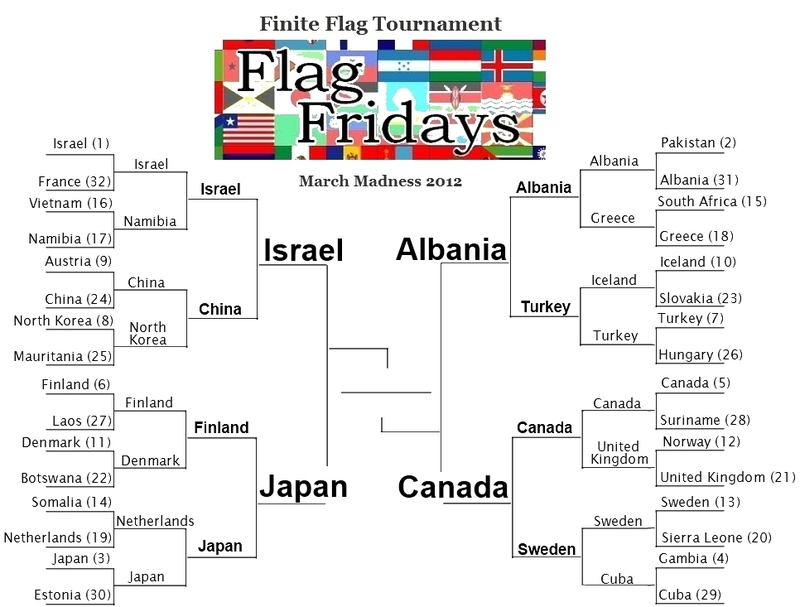 Albania wins because Canada should have never gotten this far, but then again I don't think Albania should have either. Canada's flag looks worse and worse the more I look at it. The proportions are too odd, and Canada fails to pull odd proportions off like it's southern neighbor can. Wow, a 31 seed made it into the final 4! Israel and Albania. Israel and Canada. The other two are far inferior flags in my personal opinion. Then again, my personal opinion has been wrong according to the masses on almost every step of this tournament, so what would I know? I am now shamelessly voting for the underdog, on the grounds that a double-headed eagle is awesomer* than a leaf, no matter how stylish the leaf in question may be. GH: I agree with your methodology, but you have to admit that Double Headed Eagles are already cool, while the Canadians had to do a lot to make a leaf even remotely cool, so you gotta give them props! Well, I think that both Japan and Canada are overrated. 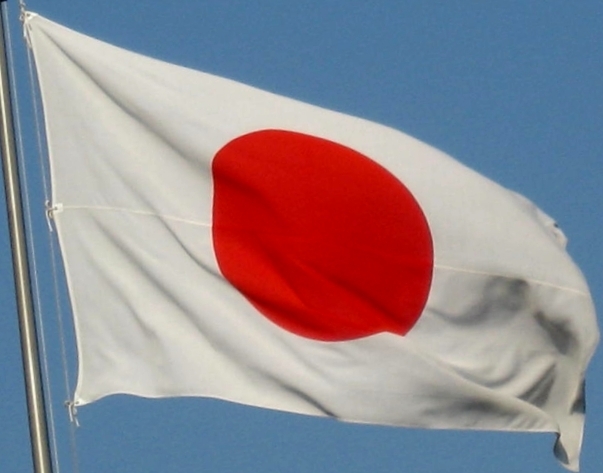 Heck, I like Macedonia's flag better than Japan's. A circle can be anything - Is that the flag of Mars? But a circle with rays is definitely the sun. 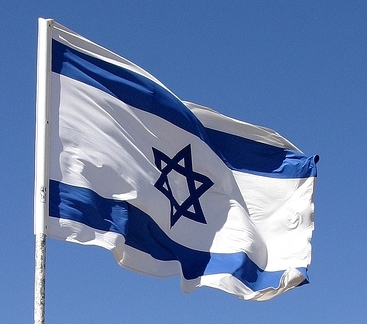 Israel is so dynamic and has such a distinctive powerful symbol. Israel it is. The UK should have beaten it two rounds ago. Both Iceland and Norway and Georgia top it as well. Regarding Albania, Well, as overdone as red and white seems to be, Turkey really had the more iconic aesthetic flag. I like when flags can go vertical, (which doesn't help either contestant here). I do like red and black together, and eastern european rules of tincture treat black as a metal, or at least a fur (sable = fur, get it? ), which can go with colors or metals. 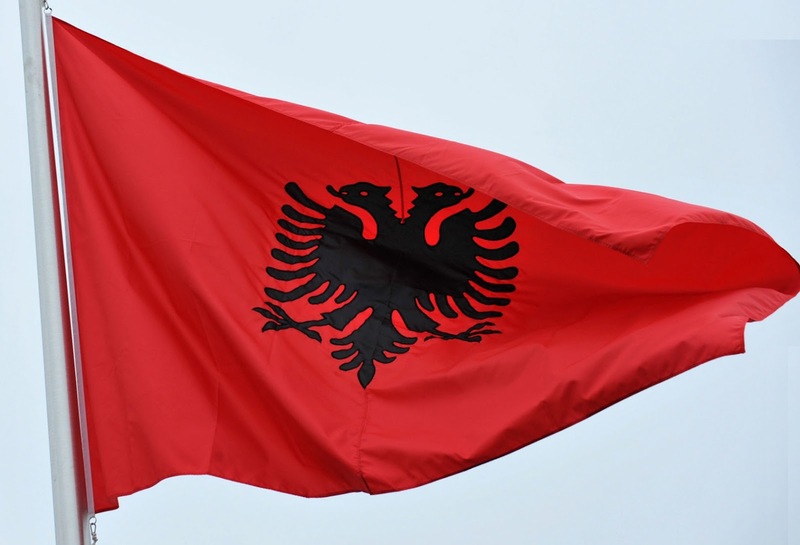 The thing is, Albania's flag looks better flying than in design, probably because the light shining through lightens the red, and the light sky makes the black pop. It is close, because Canada does have an amazingly iconic flag, so much so that Vermont probably hates them for bogarting the maple leaf.. But I'm giving this to Albania, even though I doubt they'll win. oops - in my comment re: Canada, I started mentioning water, ice and snow and never got to the part where I thought it odd there was no blue in the flag, but then I was going to edit that out because I thought it too political, what with the whole French-speakers wanting to be represented and thinking the flag English-centtric and what-not. It's strange though - Sea-faring Island nation Japan doesn't feel to me like they need blue, but Canada does for some reason. What ever happened to Macedonia's flag anyway?! I don't ever remember seeing it in the competition, and I'd count it as at least a top 8 flag. The sun takes on the leaf! I am clearly a self hating Jew. The Former Brief But Sprawling Empire Under the Legions of Alexander of Macedonia got a B+ from Michael5000 and a C+ from Parsons. That put it in a 20-way tie for 92nd seed among eligible flags, well back from the 32 qualifiers for the tournament. Wait 'til next year. Voting is now formally closed in this round.